Carl Orff’s scenic cantata [Carmina Burana] is a true crowd-pleaser…and the Dallas Symphony Orchestra and Chorus, in collaboration with the Children’s Chorus of Greater Dallas, proved last night to be up to the task. For opening night of the production, the Meyerson Symphony Center was nearly full. Conductor Brett Mitchell offers them a solid interpretation, filled with forward energy and thoughtful sensitivity…. Kudos for the evening definitely go to the choruses. The DSO choir carries a heavy burden with this piece, but they deliver expertly balanced passages with full lines and near-perfect diction. Director Joshua Habermann has nicely prepared the large group for Mitchell’s expressive and nuanced interpretations…. As appetizers to the main event, the DSO also performed Christopher Theofanidis’ Rainbow Body and Elgar’s Cockaigne Overture, Op. 40. Together, the two pieces filled roughly 30 minutes with a unique mixture of sound and story-telling. Theofanidis, a Dallas native, starts his piece with a Gregorian-like chant inspired by poetry written around the same time as Carmina Burana. The piece goes smoothly through movements that are bright and pastoral to dark and mysterious. Elgar’s Op. 40 is adventurous and provincial, with a lovely accompaniment from Bradley Hunter Welch on organ that gives the piece a full and resounding finish. These were great teasers to the main course, but what most in attendance came out to see was certainly the Orff, and understandably so. The DSO delivers this well-known favorite with artful precision. It’s difficult not to enjoy such an energetic cantata, especially when everyone around you is so thoroughly engaged. DALLAS — Brett Mitchell spoke with Classical 101.1 WRR’s Amy Bishop on Facebook Live from Meyerson Symphony Center this morning about his upcoming performances with the Dallas Symphony Orchestra, featuring Dallas native Christopher Theofanidis’s Rainbow Body, Elgar’s Cockaigne, and Orff’s Carmina Burana. Watch the conversation above, or click here to view it on Facebook. “The Moldau & Grieg’s Piano Concerto” is the title of the VSO’s Feb. 7 concert at the Bell, with conductor Brett Mitchell and pianist Andrew von Oeyen. One of the most poetic and lyrical pianists of his generation, Andrew Von Oeyen tackles Grieg’s much-loved Piano Concerto in a concert that also features one of Dvorák’s greatest works [Symphony No. 8] and the famous melodies of “The Moldau” – all under the direction of conductor Brett Mitchell, making his VSO debut. 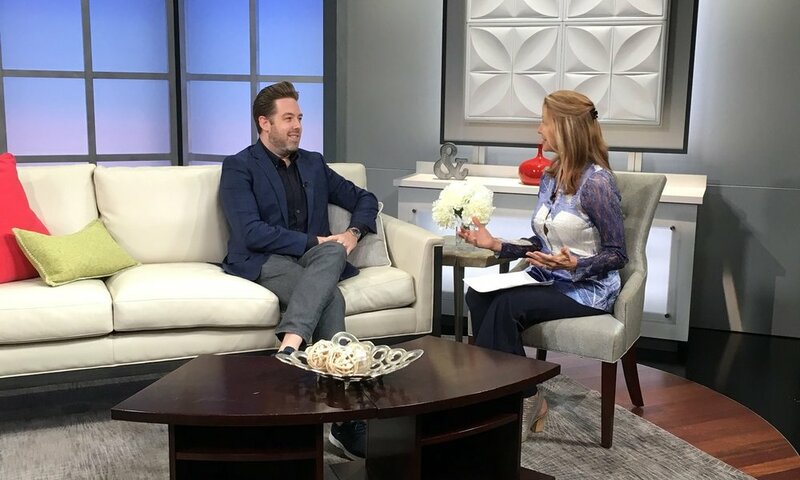 DENVER — Brett Mitchell appeared on this morning's Colorado & Company — a daily magazine on NBC's Denver affiliate, 9NEWS — to discuss the Colorado Symphony's upcoming 2018-19 season, his second as Music Director. To watch this interview, please click here. GREELEY, CO — Brett Mitchell addressed the students and faculty of the University of Northern Colorado School of Music to kick off their 2018-19 school year on Monday, August 27. During the Q&A following his leadership talk, Conducting Business: Lessons from the Podium, Mr. Mitchell responded to a question by sharing his thoughts on why he does what he does. DENVER — In advance of Leonard Bernstein's centennial celebrations on Saturday, Brett Mitchell sat down with David Ginder in the Colorado Public Radio Performance Studio to explore some of the highlights of Bernstein's career, and why his music will endure. Watch the conversation in the video below, or read the article from Colorado Public Radio: "Why Bernstein Still Matters: A Conversation With The Colorado Symphony's Brett Mitchell." Brett Mitchell will close the Strings Music Festival's 2018 season with a performance of Gustav Mahler's Fifth Symphony at the Strings Pavilion in Steamboat Springs, CO. Under the leadership of Music Director Michael Sachs, the classical season will reach its finale this weekend with the last classical show of the 2018 season. For the orchestra's finale, Colorado Symphony Music Director Brett Mitchell is on the podium to conduct a unique arrangement of Mahler’s Symphony No. 5 by the Natalia Ensemble, one of Europe's leading chamber ensembles. Whether a classical music fan or new to classical music, the show is bound to impress. 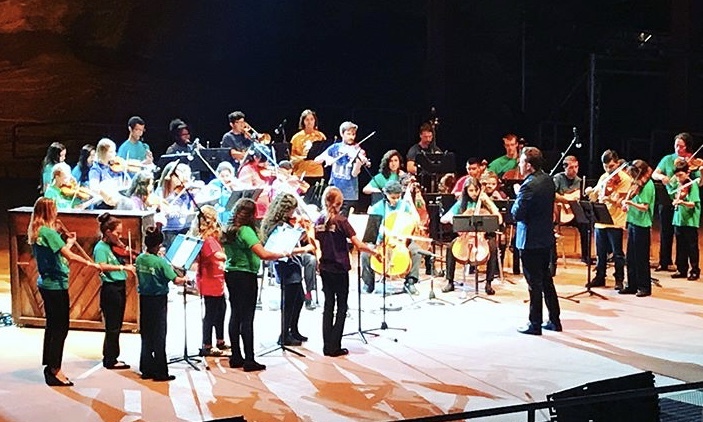 MORRISON, CO — After Yo-Yo Ma's performance of Bach's Cello Suites at Red Rocks Amphitheater on Wednesday, August 1, Brett Mitchell, Isaac Slade (lead singer of The Fray) and the young musicians of El Sistema Colorado joined Mr. Ma onstage for a surprise encore of Bach's Air on a G String. "And then the encore. In my life outside of radio, I lead the board of a small nonprofit called El Sistema Colorado that provides access to music for kids in underserved communities. Three weeks ago Yo-Yo Ma's office called to invite them to play onstage with him. They played with poise and heart! Brett Mitchell, Colorado Symphony Music Director conducted Bach's Air on a G String. A night to remember indeed." The Colorado Symphony has been taking classical music out of the concert halls for years, including at its 'Classically Cannabis' pot-friendly concert back in 2014, its Red Rocks performances and at 'Remix: Young Professionals of the Colorado Symphony' events. Now, conductor Brett Mitchell, who was brought in to keep the orchestra's slate of programming relevant to up-and-coming generations, is rebooting its beer-and-classical pairings with Beethoven and Brews. On October 10, the symphony will perform two overtures by Ludwig van Beethoven, cellist Judith McIntyre will solo on Edward Elgar’s "Sospiri," and the evening will conclude with works by Manuel de Falla and Zoltán Kodály. This will be the fourteenth iteration in the series, which began back in 2015. To celebrate the performance, Blue Moon will offer a Beethoven-themed beer, and ticket holders will be given two pints from the brewery's tap list to enjoy, along with hors d'oeuvres. Today we get into the weeds on assistant conductor auditions and more. Brett Mitchell is starting his second season as the Music Director of the Colorado Symphony, and he has had a whirlwind of activity since conducting CSO for the first time less than two years ago. We get into how he accidentally auditioned, the details of their recent assistant search, and the organic changes that come with a new leader. Listen via the audio player above, or hear the episode on Podium Time's website. DENVER — Colorado Symphony Music Director Brett Mitchell appears in a new video about the orchestra's longtime role as a cultural catalyst in Denver, contributing to its unique history and culture. Watch the video above. With the New Zealand Symphony Orchestra, Brett Mitchell presented an Italian program featuring violinist Angelo Xiang Yu and a Bernstein at 100 celebration featuring vocalist Morgan James. In two Auckland concerts this month, the New Zealand Symphony Orchestra made a palpable play for populism. 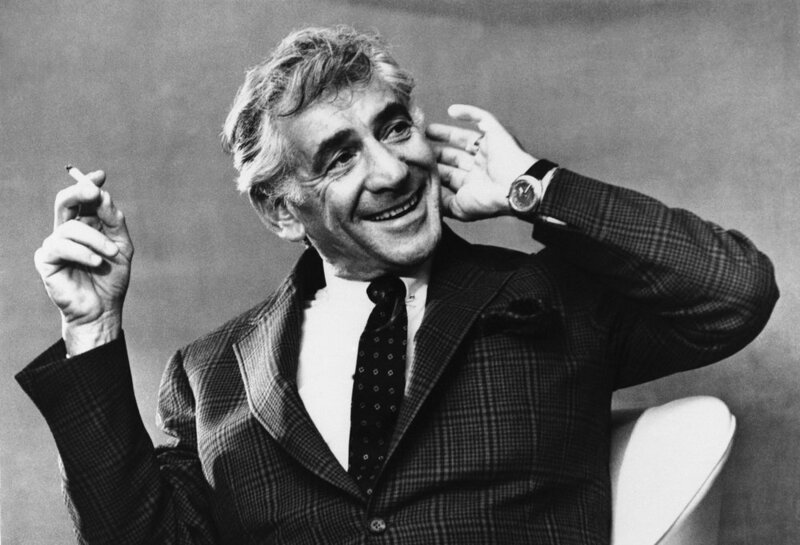 Bernstein at 100...[featured] Lenny on the light side, with most of the music coming from his Broadway shows. Denver-based maestro Brett Mitchell proved to be a lively host in his spoken introductions and drove the mighty music machine that is the NZSO with elan. It was a shame the musical voyage to sunny Italy didn't encourage sufficient punters out into Auckland's squally weather, meaning that they missed what the programme booklet promised to be a magnificent account of Vivaldi's The Four Seasons. In fact, it was delightful, re-affirming the perennial pleasures of this piece with its dazzling succession of fires, storms, pastoral contentment and domestic bliss, all rendered in music. All this was nicely caught by a smaller band of players together with soloist Angelo Xiang Yu. After interval, the big guns came out. Mitchell took the orchestra for a thrilling ride through Berlioz's Roman Carnival, its bold, idiosyncratic harmonies and scoring emphasising why this composer remains a key figure in 19th century music. The evening ended by Mitchell presenting Respighi's Pines of Rome as an unashamed musical spectacular. All we needed to do was relax and be dazzled, without worrying too much about what lay behind it. The ultimate reward was one of the grandest sunrises ever, splendidly assisted by a contingent from the Wellington Brass Band. 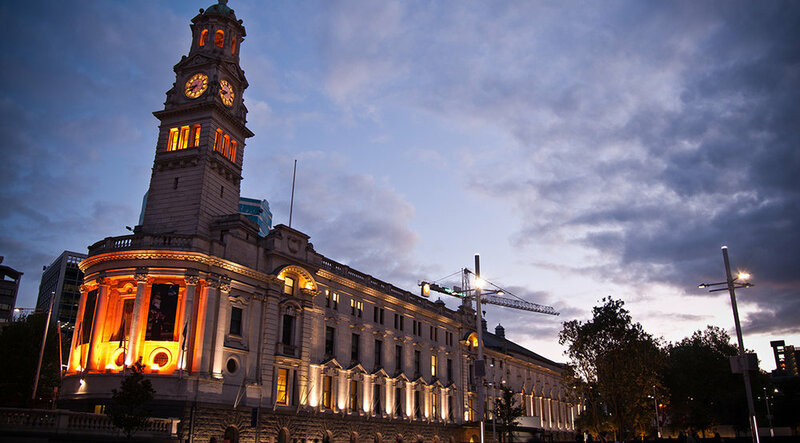 Brett Mitchell led an Italian-themed program with the New Zealand Symphony Orchestra at Auckland Town Hall on May 19. Vivaldi’s The Four Seasons, which I haven’t heard live in over a decade, was every bit as enjoyable. Conductor Brett Mitchell did what I think is essential on these occasions, which is to try to make a familiar piece sound fresh to jaded ears. Mitchell’s approach was to strip the orchestra right back, and it paid dividends. Everything was sharp and crisp, and the dynamics shifted precisely from level to level in the period manner, rather than being finally gradated. The soloist, young Chinese virtuoso Angelo Xiang Yu, also eschewed the traditional approach, producing instead a thrilling range of tones and timbres, from the sweetly soft to the frankly jagged. After the interval came Berlioz’s Roman Carnival Overture, continuing the (very loose) Italian theme. Again, this was very well conducted, Mitchell’s unobtrusive style allowing the music to flow up out of the orchestra, as it were. It’s not a piece I knew at all, but I thoroughly enjoyed it, and thought the central cor anglais melody was beautifully played. Brett Mitchell led the New Zealand Symphony Orchestra's centennial celebration of Leonard Bernstein. What a fabulous concert this was. A wonderful subject, superb programming, scintillating playing, marvellous singing and absolutely first rate conducting by Brett Mitchell. Leonard Bernstein was a larger than life personality of incredible talent, whose composing life was spread across serious concert music and the world of musical theatre. His musical style made more conservative music lovers uncomfortable, his conducting was incandescent, his personality both complex and immensely communicative. All of Bernstein's intensely individual story was brought to life in this marvellously involving concert under the baton of one of America's up and coming conductors. Yes, there was the predictable - a lengthy, and very welcome, selection from West Side Story - but there was also a rare, and equally welcome, performance of the symphonic suite from his only film music - On The Waterfront. And also, not heard too often, was music from On The Town and some titillating pieces from Candide. The orchestral playing was marvellous; both free and dazzlingly precise at the same time. One could have been in New York. Bernstein was known for being a truly ‘American’ composer, bringing together multiple styles and bridging the gap between classical and popular music. We were very ably guided through a great programme by American conductor Brett Mitchell who, like Bernstein, was trained in the United States. Maestro Mitchell enjoyed the experience as much as, if not more than, many in the audience and seemingly danced and almost jived his way through a variety of classics from Bernstein’s more popular work. Brett Mitchell led the New Zealand Symphony Orchestra in 'Bernstein At 100' at the Michael Fowler Centre in Wellington on Friday, May 11. [Conductor Brett Mitchell's] florid, sinuous, enthusiastic style was quite dramatic and supremely confident. The NZSO played marvellously and did Leonard Bernstein justice. His lyrical melodies were so beautifully played: ‘Dream With Me’ from Peter Pan, ‘Tonight’ and ‘Somewhere’ (the encore) from West Side Story were magic. His syncopated, jazzy numbers were full of energy and vitality – exciting, angry, dramatic, thrilling. The percussionists, the brass section, the clarinet section, the double basses (especially with the Mambo!) had a ball! Brett Mitchell led the New Zealand Symphony Orchestra in an Italian-themed program at the Michael Fowler Centre in Wellington on Saturday, May 12. What a boringly predictable world it would be if everything in it turned out as one anticipated! I sat pondering this earth-shattering truism during the interval of Saturday evening’s NZSO concert in the wake of the most inspiring and life-enhancing performance of Antonio Vivaldi’s “The Four Seasons” I’ve heard since...the 1970s. Just as that performance blew away the cobwebs and reinvented the work for its time, so did Angelo Xiang Yu’s absolutely riveting playing of the solo violin part and the NZSO players’ galvanic response do much the same for me on this occasion. I listened to the thistledown-like opening, and straightaway pricked up my ears at its wind-blown, spontaneous-sounding quality, replete with inflections of phrasing and dynamics that suggested the musicians seemed to really “care” about the music. For this performance the NZSO enjoyed the sterling services of a number of players from the Wellington Brass Band, whose body of tone with that of the full orchestra’s at the piece’s climax had an almost apocalyptic effect. As he’d done throughout, Brett Mitchell controlled both momentums and dynamics with great tactical and musical skill, holding the legions in check until they actually swung into view in the mind’s eye, and came among us, amid scenes of incredible splendour and awe. Respighi actually wanted the ground beneath his army’s feet to tremble with the excitement of it all, and conductor and players triumphantly achieved that impression over the piece’s last few tumultuous bars. American conductor Brett Mitchell who I’d heard in a lively, Broadway-style interview on Upbeat at midday, entered and immediately launched into a startling performance of Dance of the Great Lover, the first of the three dances from On the Town which rather astonished me for the super-raunchy, trumpet-attacks from nowhere, then throaty trombones, cutting clarinets. There was nothing symphonically genteel about it and Mitchell exclaimed at its end, “the NZSO can swing!” I have sometimes dismissed remarks from conductors tackling this genre of American music, that the orchestra has a great feeling for its brazen energy, the rhythms and attack, as if the entire band had served its musical apprenticeship on Broadway. Here such praise seemed totally justified. The Symphonic Dances from West Side Story is a more standard concert work that captures the vitality, violence, anger and occasional calm lyricism (‘Somewhere’ and the Finale) of the score and the orchestra’s playing exhibited all those characteristics with tremendous energy and unflagging precision. Finger-clicking, a shrill whistle... Nowhere more vividly than in the riotous ‘Mambo’ where the only missing element was the dancers. WELLINGTON — Brett Mitchell joined host Zoë George in the Radio New Zealand studios to discuss his upcoming 'Bernstein At 100' concerts with the New Zealand Symphony Orchestra, presented at the Michael Fowler Centre in Wellington on Friday, May 11, and Auckland Town Hall on Friday, May 18. Hear the complete interview below, or read more. Classical music, grunge, and musical theatre all have something in common – Leonard Bernstein according to effervescent conductor Brett Mitchell. Brett is in the country to conduct the New Zealand Symphony Orchestra’s Bernstein at 100 and Vivaldi’s Four Seasons concerts in Wellington and Auckland over the next two weekends. He says what mattered to Bernstein was the quality of the music, not the genre and he embraced everything during his 50 year career. As a result many in America and around the globe embraced him, according to Brett. West Side Story is arguably one of his most famous works. It combined jazz, cha cha, and mambo and reflected New York in the 1950s. “For me that’s part of his legacy – his willingness to embrace all different aspects of music available to him,” Brett says. Brett says he knew of Bernstein’s music before he realised how big a deal he was. It was in 1990, when Bernstein died, that Brett started to understand the composer’s reach. Brett, who was also a jazz pianist before he picked up the baton, says ‘Some Other Time’ from On The Town became a favourite to play. He is thrilled the NZSO are performing it this week. Just before Leonard Bernstein died he was awarded a lifetime Grammy award. That had a monumental effect on Brett. “Well here’s this high-brow classical musician who’s hanging with Michael Jackson, Tina Turner and pop musicians I was growing up with,” Brett says. “I remember him saying ‘listen - there are better and worse Mozart symphonies. There are better and worse Schubert songs. There are better and worse Beatles songs’. WELLINGTON — The New Zealand Herald has published a preview of Brett Mitchell's upcoming 'Bernstein At 100' concerts with the New Zealand Symphony Orchestra, presented at the Michael Fowler Centre in Wellington on Friday, May 11, and Auckland Town Hall on Friday, May 18. Leonard Bernstein broke the rules, dared us to follow him, and was so profoundly musical that the results sounded right, even when they were wrong. Conductor Brett Mitchell, who leads the New Zealand Symphony Orchestra in two concerts to celebrate what would have been Bernstein's 100th birthday, has an example from "Lenny the composer". Mitchell points to one of Bernstein's most famous compositions, the song Maria from West Side Story, which opens with a tritone. Also referred to as "a devil in music", a tritone is a dissonant interval between two notes and was used regularly in avant garde music of the early 20th century. "What pop song opens with a tritone?" asks Mitchell. "Bernstein knew how to push the boundaries in terms of complexity and yet find his way into the wider culture. We all take Maria for granted now." Ironically, Bernstein the composer came to see West Side Story, his masterpiece packed with songs still recognised and loved today, as a millstone, the work that defined him until his death in 1990. "I think there's a perception that West Side Story is 'only' a Broadway show," says Mitchell, "as though there's some qualitative difference in whether it's performed on West 42nd Street in Times Square [ie, Broadway] or West 57th Street where Carnegie Hall is." The NZSO concert, which also features sometime Postmodern Jukebox vocalist Morgan James, steers closer to Broadway than Carnegie Hall. It includes music from West Side Story, On the Town and the jazzy operetta Candide, recently in Auckland as part of the arts festival.